The Lockheed F-117 Nighthawk "Stealth Fighter" was operational as early as 1983 (with maiden demonstrator flights in 1977) but its existence wasn't announced to the public until 1988. 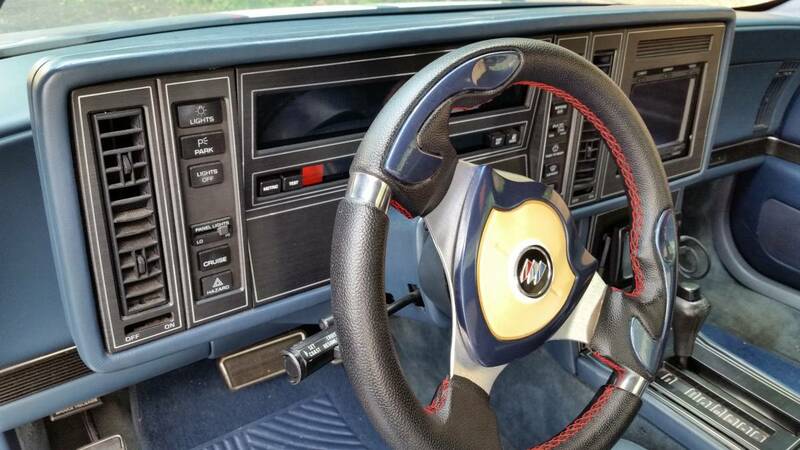 In a strange coincidence, GM's Buick division released its own piece of advanced technology in '88-- a hand-built two seater with 4-corner independent suspension and an advanced touchscreen computer interface...but thankfully no one died when the Reatta bombed. Find this 1989 Buick Reatta Northstar V8 Swap offered for $2000 in Nutley, NJ via craigslist. From Cory. 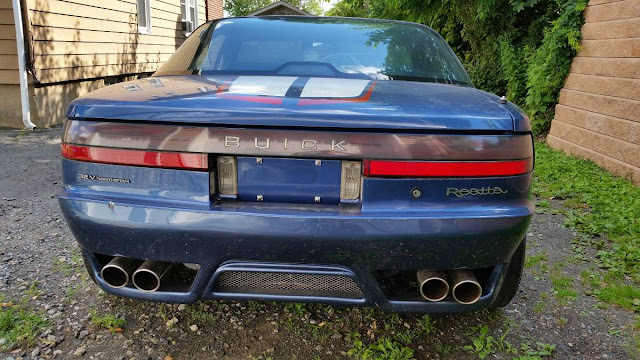 This is a 89 Buick Reatta it has a Cadillac Northstar engine and runs really good it also has a lot of custom features like the wheels, some body spoilers seats steering wheel, exhaust and probably other parts im forgetting. The interior, body, engine compartment, rims trans and engine are all in great shape. The paint has some chips and flaws. Unfortunately i don't have a title for it. 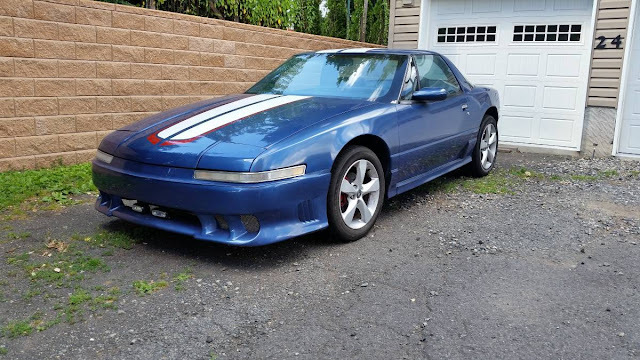 This would be great for a swap or rebuild or just great parts to customize a Reatta or Cadillac Allante. This one looks great, you don't see many of these around any more. Too bad it wasn't rear wheel drive, would have upped the fun-factor a lot. What? Check out that awesome dash binnacle. What's not to like, other than all of the interior. You guys should look up the "MRolla" Lemons car. Or maybe you're familiar with it - this was the back half of an MR2 grafted to the front half of a Corolla, for twin-engined AWD awesomeness. I think it's high time someone built a Reatiero or a Fieratta!